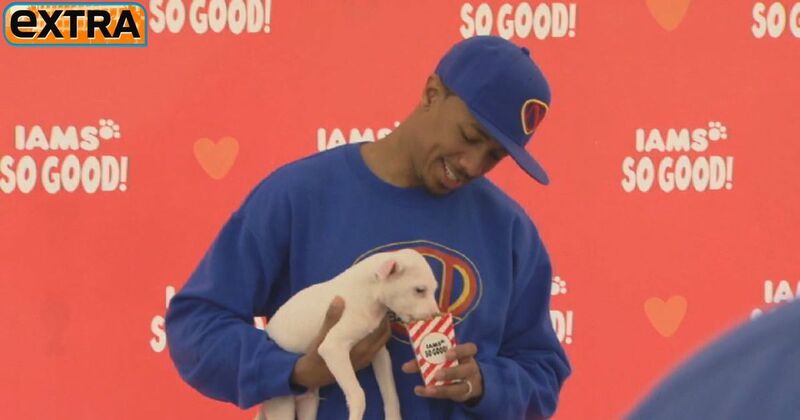 Dog lover and "America's Got Talent" host Nick Cannon brought his pooch, Reverend Pow Jackson, to the IAMS So Good! Zone at Union Square Park in NYC to celebrate IAMS' new line of food for dogs. Nick chatted about his family's dogs, and gave an update on wife Mariah Carey's recovery from an injury she incurred while filming the music video for a remix of her song, "#Beautiful." Olympic Gold Medalist Aly Raisman was also in attendance with her dog, Coco, and talked about getting ready to start training in the coming weeks.